Kia Ora. My name is Atawhai. 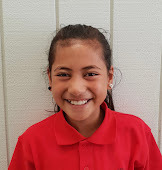 I am a Year 4 student in Room 11 at Pt England School. My teacher’s name is Mrs Buchanan. I have 2 sisters and 5 brothers. My favourite subjects are writing and reading. I like reading because I like to learn new words. I want to be the best at maths this year. I know my time tables off by heart. Thank you for visiting my blog and following my learning journey. Please feel free to leave a positive comment.